Stylish and smart! 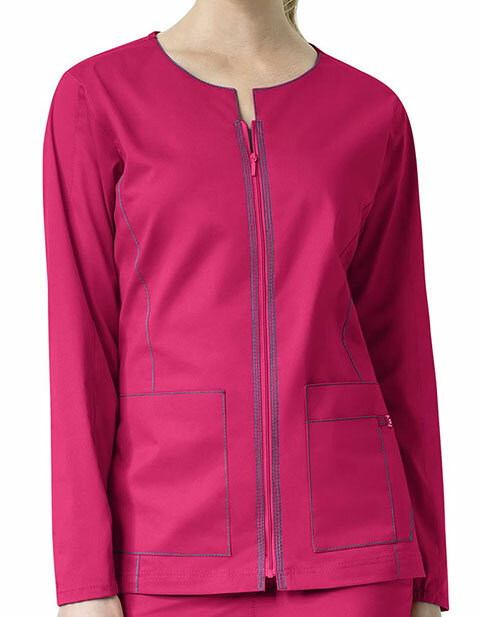 WonderWink Seven Flex brings a trendy and stylish variety of contrast detailing scrubs giving you a contemporary look at work. Made up of comfortable yet soft stretch flex dura twill fabric this top jacket features zip front and two lower roomy patch pockets with the Wink logo for secure storage of your essentials. 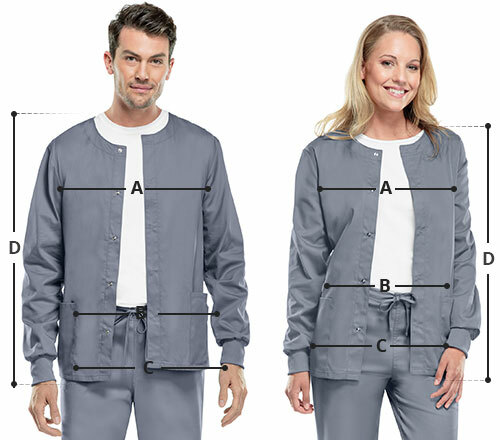 Moreover, the contrast triple needle stitching detail on zipping front and contrast back neck ensures durability while the elastic at basic sleeve and front seaming provide a shaping fit.